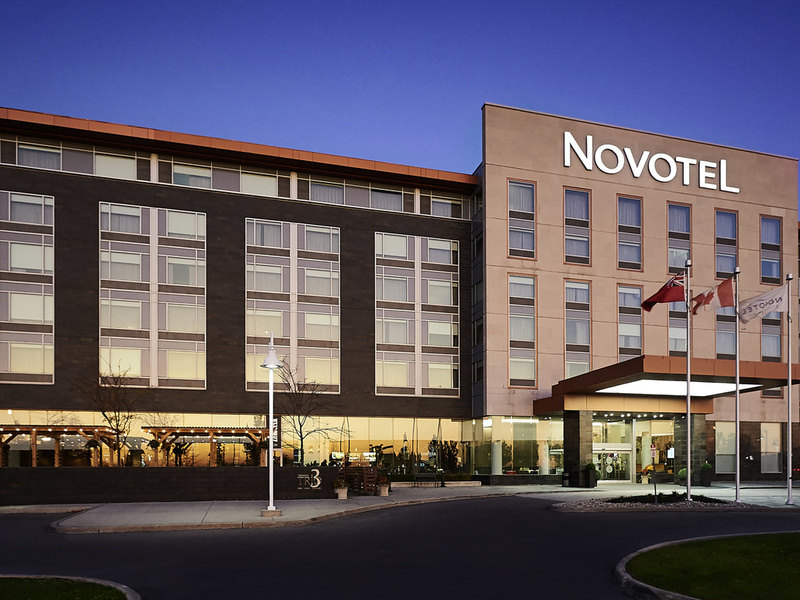 Novotel Toronto Vaughan is a family-friendly 3-star hotel ideal for both, business and leisure travel. Adjacent to Vaughan Mills Shopping Mall and LEGOLAND Discovery Centre, it is one of the closest hotels to Canada's Wonderland. Contemporary accommodatio ns, modern amenities, such as complimentary Wi-Fi and parking, indoor salt water pool and fitness centre. Enjoy the seasonal outdoor patio, or the sophisticated Trio Restaurant & Lounge with floor-to-ceiling windows and an award-winning culinary team. Wonderland 10 minutes' drive, 35 to Toronto, Subway 8 minute drive. Raising Expectations in Vaughan - Trio Restaurant and Lounge - Serving up the best food and drink. Enjoy fresh ingredients and cocktails, amid inviting modern design, or dine outdoors on Trio's spacious seasonal patio. Rooms were well appointed. But we found, not enough lights in the room. Hard to get dressed for an event such as wedding with a limited lights in the room. Toooo gloomy. Breakfast in the dinning room was a VERY negative experience. Wait stuff was not attentive. Tried to Overcharged us on advertised breakfast buffet prices. Waited toooooo long for a waitress to arrive. Ask for coffee to be refiled told to do it yourself at the buffet. Asked to speak with the manager, REFUSED. Not a professional service. We stayed 2 nights, second morning went to a restaurant near by for an amazing breakfast. WAY CHEAPER and WAY BETTER service and quality. We were there with a big family and friends group. Everyone did the same for breakfast. Everything was great, and we really enjoyed the hotel, but the shower curtain was dirty and stuck together at the bottom. Very yucky. The bathroom was dirty. Walls not cleaned. Great service, very close to vaughan mills mall, breakfast as well. Lots of confusion with reservation, room had wet carpeting when checked in. Lots of confusion with reservation, I had called and requested to be beside my friend then said if other friend could be near too that would be good. The person who took call made wrong notes. The room had wet carpeting when checked in. Called to report but it was too late to change rooms as we had to be up at 5am the next day. Had to move all belongings to bathroom as carpet was wet The restaurant has limited options for children. What we ordered was not good for kids. Overall good experience. Aircon in room and gym to be improved. Staff was really friendly, reasonable room service prices, room was nice and clean. Breakfast was very good. The aircon in the room still pumped cold air even if turned off so was still annoying. Aircon in the gym did not work as it was extremely warm and sticky and noisy - needs to be fixed to enjoy doing some workout. We stayed at the Novotel Vaughan on March 29-31 for my wedding. The suite was amazingly decorated, comfortable and spacious. The added detail of the Nesspresso machine was a nice touch, which appreciated in the morning! Some of our guests also stayed and had nothing but wonderful things to say about their stay. We would definitely stay at the Novotel again! My husband is in a wheelchair and the room we had was large, comfortable and the grab bar are essential for safety in the bathroom. The room was large enough we could have benefited from the small table. It worked out very well for us. Nice facility. Breakfast buffet has a variety of items to satisfy all taste and dietary needs. Welcoming and helpful staff at front desk and restaurant. I like the sleek design of the lobby with the fireplace and the area for small children. My room was very spacious for 3 adults. Staff was great, food was good and room was clean and comfortable. The Breakfast at hotel and staff are really good, as for the rest of the meals, supper very expensive for the amount of food you get. The staff were very friendly and helpful, the room was lovely and roomy. We had everything we needed. Breakfast was great (we were surprised). The only “clutch” was that one of our room cards did not work on the elevator. Loved the easy checkout!